Among monkeys and apes, orangutans are unique in that they are normally semi-solitary as adults. Orangutans are known as frugivores because over 65% of their diet (as measured by time spent) consists of ripe fruit. Wild orangutans feed on over 200 types of fruit which provide them with a mixture of sugars, fiber, water, potassium, and (usually) vitamin C. However, orangutans require other nutrients, such as protein, in their diet. Wild orangutans eat nuts, insects, and young leaves to satisfy their requirements for protein and fat. 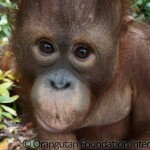 More Read about orangutan behaviour here. Orangutans are known as frugivores because over 65% of their diet (as measured by time spent) consists of ripe fruit. Orangutans spend over 60% of their waking hours foraging in the canopies of the tropical rain forests of Borneo and northern Sumatra. Tropical rain forests represent one of the richest and most complex eco-systems on the planet. Fruiting and flowering are intermittent. Trees of the same species produce ripe fruit at different times in different years. 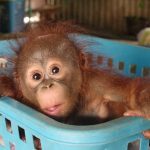 Thus, it makes sense that young orangutans, who will eventually have to deal with such ecological complexity on their own as members of semi-solitary animal species, will remain with their mothers for 8 – 10 years as observed in Tanjung Puting, Central Indonesian Borneo, and in northern Sumatra. 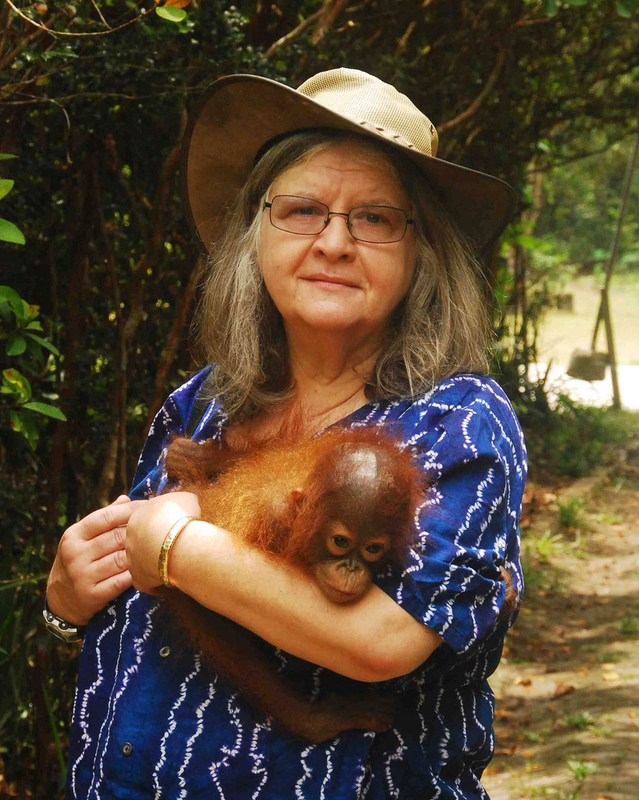 Dr. Biruté Mary Galdikas and others have hypothesized that it may take this long for dependent orangutans to learn the complexity of foraging in the multi-dimensional universe of the tropical rain forest. 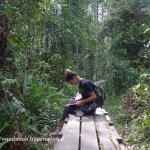 More Read about orangutan intelligence here. 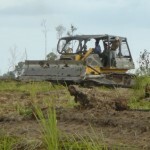 Orangutans are important seed dispersers and, thus, enhance forest diversity and regeneration. 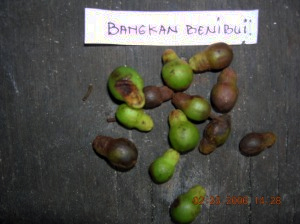 They disperse seeds by defecating them intact after digesting the fleshy pulp in which seeds are embedded. Orangutans also disperse seeds by spitting them out of their mouths after swallowing the edible parts of the fruit. These apes serve another important role in propagating trees and plants as many fruit seedlings sprout more effectively after passing through animal digestive tracts.